Amazing Grace, from acclaimed director, Michael Apted, tells the inspiring story of how one man's passion and perseverance changed the world. 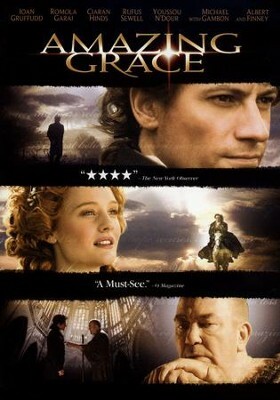 Based on the true-life story of William Wilberforce (Gruffudd), a leader of the British abolition movement, the film chronicles his epic struggle to pass a law to end the slave trade in the late 18th century. Along the way, Wilberforce meets intense opposition from members of Parliament who feel the slave trade is tied to the stability of the British Empire. Several friends, including Wilberforce's minister, John Newton (Finney), a reformed slave ship captain who penned the beloved hymn Amazing Grace, urge him to see the cause through. Rated PG. Approx. 111 Minutes. I'm the author/artist and I want to review Amazing Grace, DVD.